Our mission is to offer high quality cosmetic care products equal or superior to those on the market, and made with organic, eco-friendly and fair-trade ingredients. Zorah products are made from organically grown ingredients certified by either Ecocert or Québec Vrai. Our products do not contain any animal products or mineral oils (ex. : petroleum) and are not tested on animals. We ensure the quality and origins of the raw materials we use in our products. Zorah proves that it is possible to make high-end body care products without resorting to ingredients harmful to your health or the environment. The team at zorah is passionate about the environment and protecting the planet. We feel that the way we treat our bodies goes hand in hand with the way we treat the earth. Each step in the preparation of our products is another step towards sustainable development. Our containers are entirely recyclable. Our brochures are printed with vegetable-based inks on 100% recycled paper. Our products are manufactured locally so as to reduce unnecessary transport. Zorah is fully committed to improving the environment in every step of its production and distribution processes. 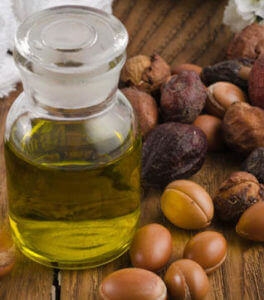 Argan oil, known to Moroccans as the “precious oil”, has been used for centuries for its numerous properties. Extremely rich in antioxidants, essential fatty acids, vitamin E and sterols, organic Argan oil thoroughly moisturizes and nourishes the skin, giving it a soft appearance and a most appealing texture. Zorah has become a recognized quality brand in the North American cosmetics industry. The reason for this is pure and simple: before being launched on the market, Zorah products must undergo rigorous efficiency tests and must receive a 95% efficiency score, or they are returned to the lab for improvement. This is why each time you purchase a zorah product, you are guaranteed a product of the highest quality and satisfaction. In this era of globalization, more and more products come from multinationals firmly established in countries where labour costs next to nothing and where potential profits are multifold. Zorah biocosmétiques is proud to offer a line of products designed, produced and distributed in Canada. Most of the raw materials used in the production of our cosmetics come from women’s cooperatives from all over the world–especially Morocco–but also from Mali and Brazil, just to name a few. Fair-trade business means paying a fair price for a product or service, thereby contributing to a fairer and more even growth of the world’s economy. Each time you buy a zorah product, you are not only purchasing a product of the highest quality, but you are also participating in the development of a new and fairer international market more concerned with humanity than profit.